Magnificent Mediterranean Estate in the World-Famous Spruce Creek Fly-In, this 44x38 Hangar home will leave you speechless. This custom 6,000 sq.ft. 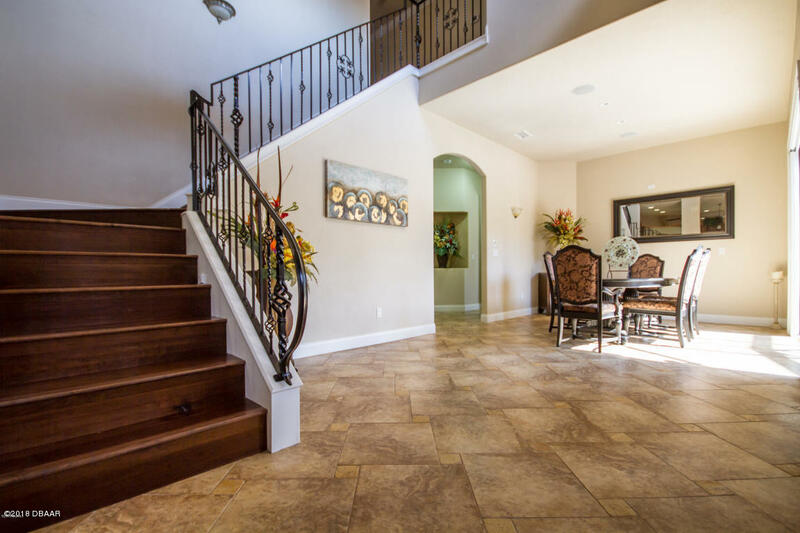 2 story Mansion is an outstanding example of craftsmanship, luxury and comfort. 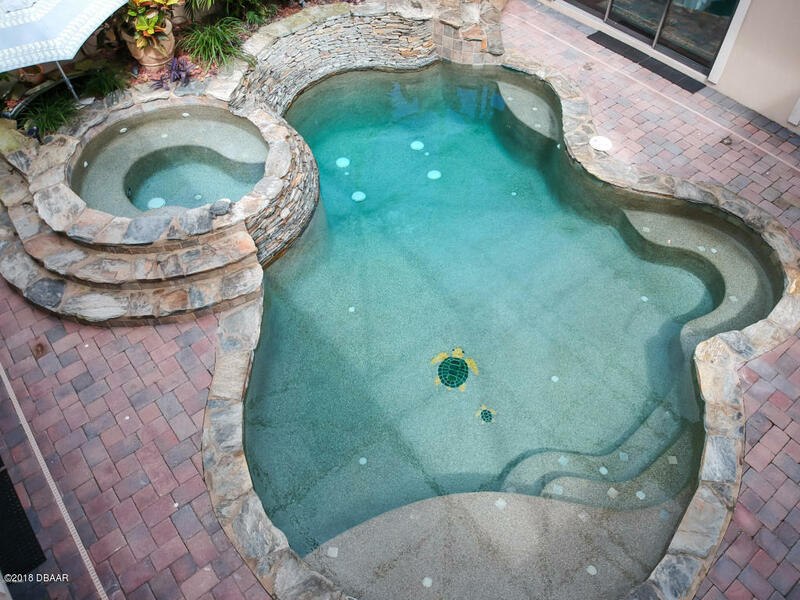 Arrive to an Impressive Circular driveway with Stone Pavers and Luxurious Courtyard entrance with resort style Salt Water Pool w/solar heat, automatic floor cleaning w/built in hot tub and 2 tranquil rock water falls. Designed for year round enjoyment with indoor and outdoor kitchen and living areas. Plenty of privacy for entertaining. 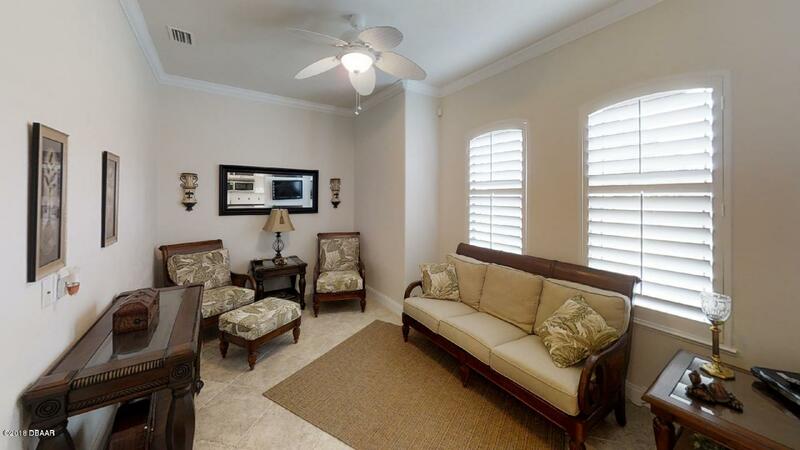 Separate Complete Guest Quarters, featuring 1 bedroom, 1 bath, kitchen, and living area. 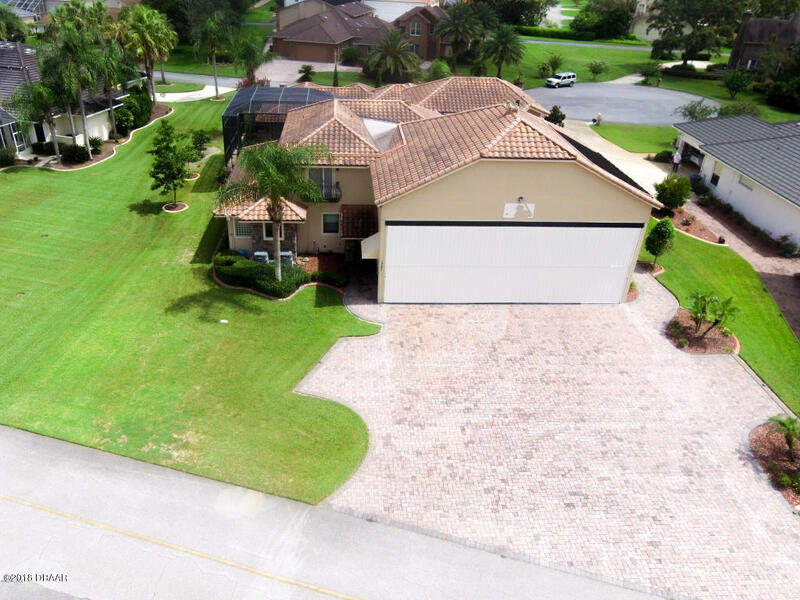 Inside, main home features an open design w/vaulted ceilings, 3 Bedrooms and 2 1/2 Baths......PLEASE SEE MORE REMARKS Magnificent Mediterranean Estate in the World-Famous Spruce Creek Fly-In, this 44x38 Hangar home will leave you speechless. 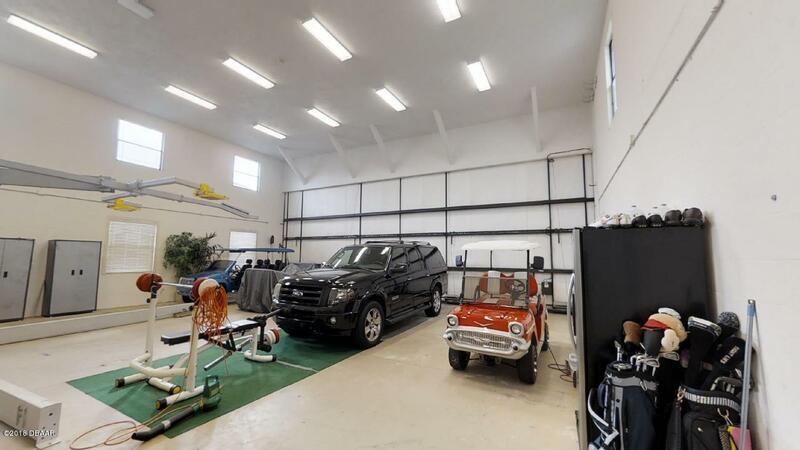 This custom 6,000 sq.ft. 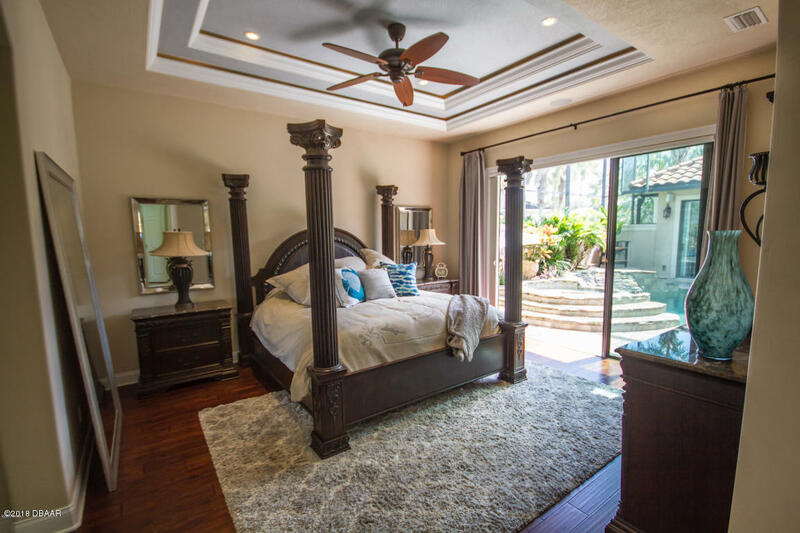 2 story Mansion is an outstanding example of craftsmanship, luxury and comfort. 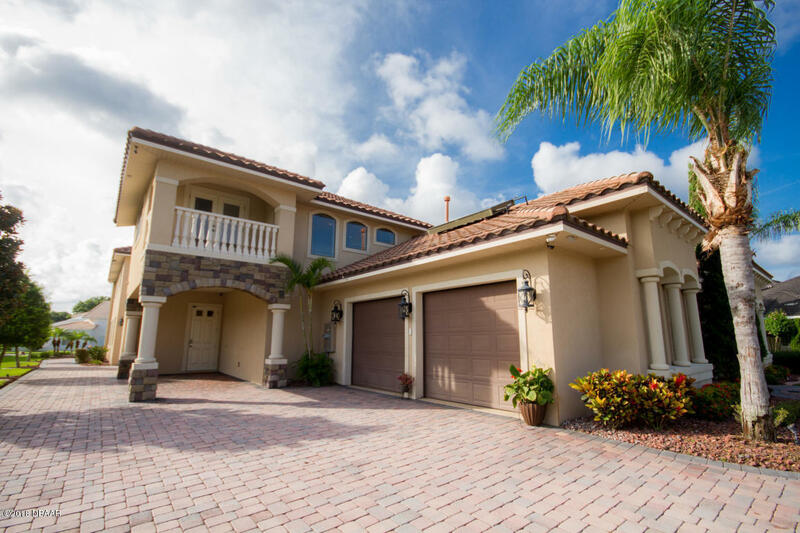 Arrive to an Impressive Circular driveway with Stone Pavers and Luxurious Courtyard entrance with resort style Salt Water Pool w/solar heat, automatic floor cleaning w/built in hot tub and 2 tranquil rock water falls. 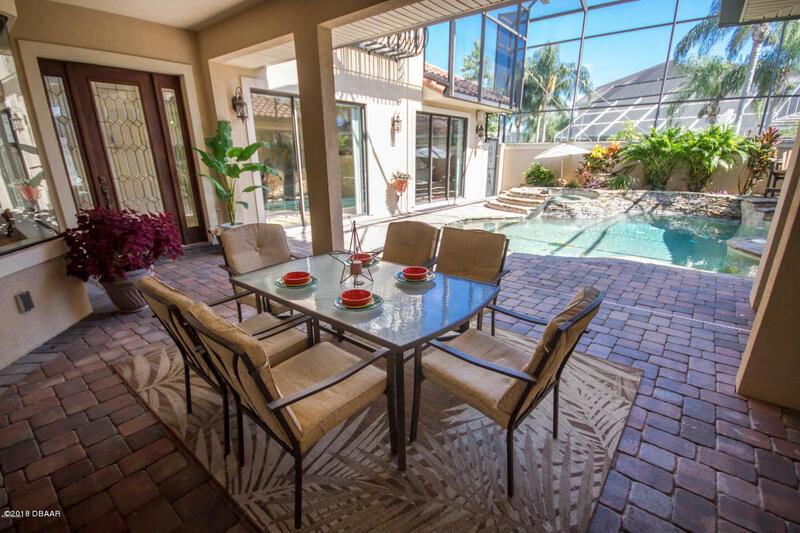 Designed for year round enjoyment with indoor and outdoor kitchen and living areas. Plenty of privacy for entertaining. Separate Complete Guest Quarters, featuring 1 bedroom, 1 bath, kitchen, and living area. 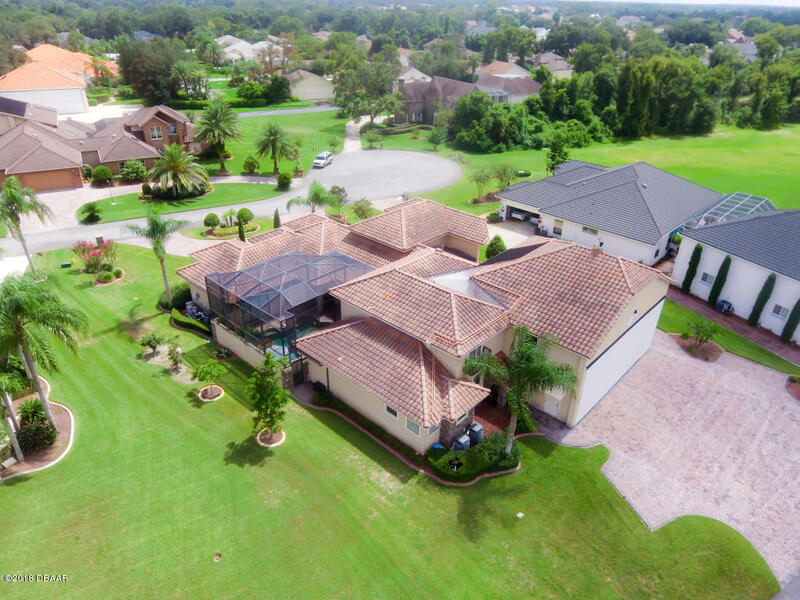 Inside, main home features an open design w/vaulted ceilings, 3 Bedrooms and 2 1/2 Baths......PLEASE SEE MORE REMARKS Magnificent Mediterranean Estate in the World-Famous Spruce Creek Fly-In, this 44x38 Hangar home will leave you speechless. 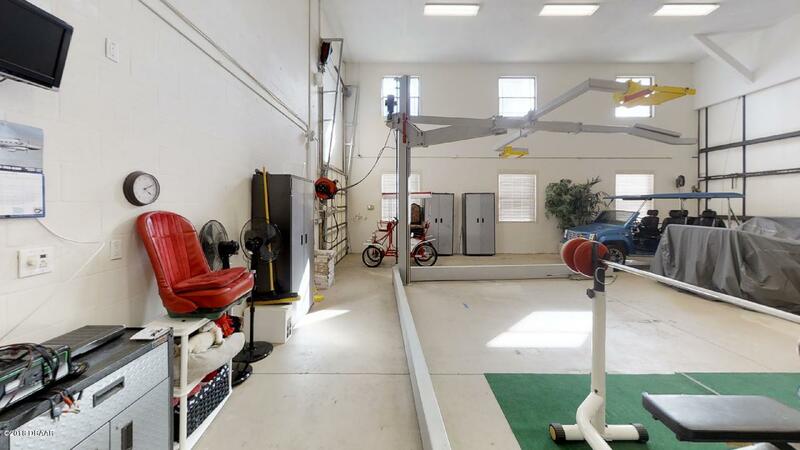 This custom 6,000 sq.ft. 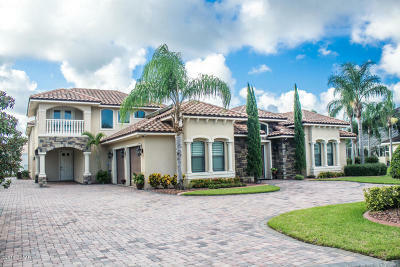 2 story Mansion is an outstanding example of craftsmanship, luxury and comfort. 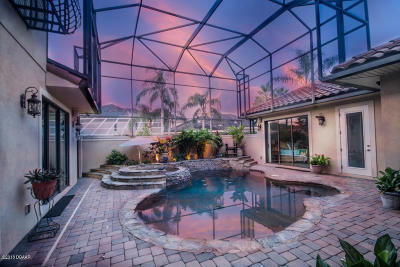 Arrive to an Impressive Circular driveway with Stone Pavers and Luxurious Courtyard entrance with resort style Salt Water Pool w/solar heat, automatic floor cleaning w/built in hot tub and 2 tranquil rock water falls. 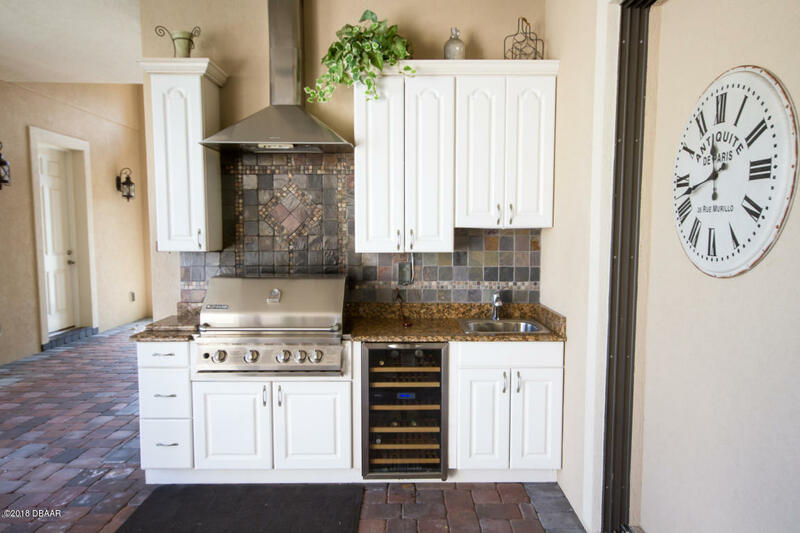 Designed for year round enjoyment with indoor and outdoor kitchen and living areas. Plenty of privacy for entertaining. 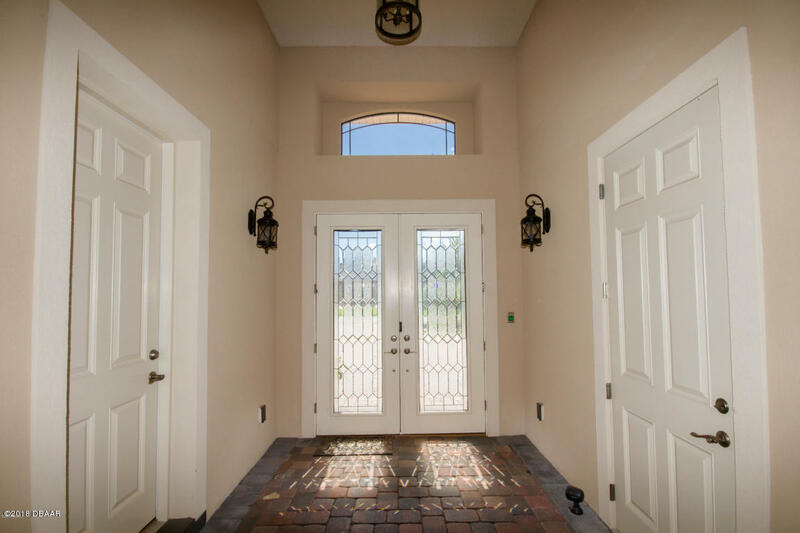 Separate Complete Guest Quarters, featuring 1 bedroom, 1 bath, kitchen, and living area. 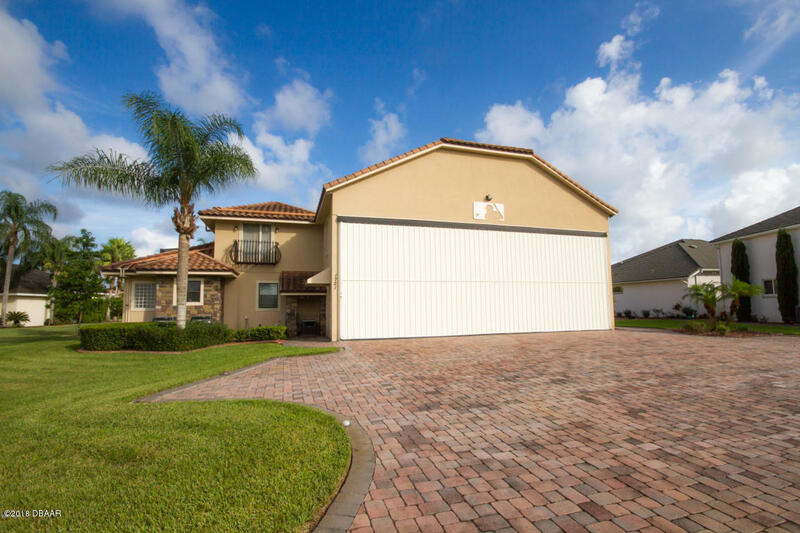 Inside, main home features an open design w/vaulted ceilings, 3 Bedrooms and 2 1/2 Baths, Central Vac, First floor Master with 2 walk in closets, Lavish Master bath with Soaking tub and walk in shower featuring ceiling shower head, and separate vanities.Striking custom Grand Staircase leading to 2 bedrooms featuring balcony w/walk in closets in both rooms, spacious jack and jill bathroom w/double sinks. 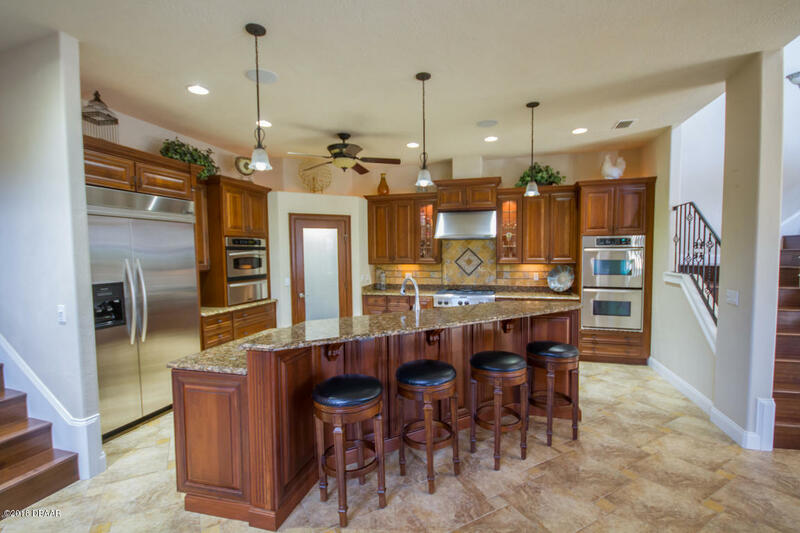 Spectacular Dream Gourmet Kitchen offers custom cherry wood cabinetry with ball bearing slides, self-closing doors and drawers, double ovens, gas cook top, granite counters, crown moldings, Convection oven/microwave with buffet warmers, and high end Dishwasher. 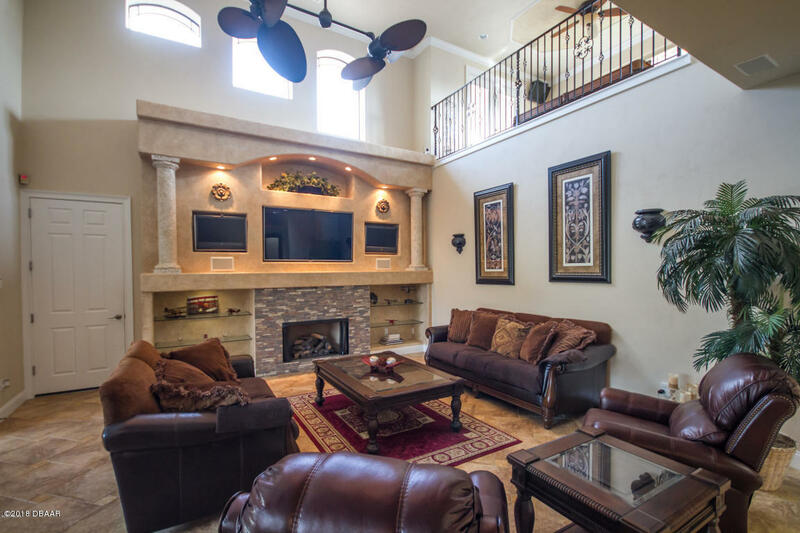 Dining Room and Family room with gas fireplace, triple TV's with custom built ins, 16 Camera Security and Home Generator systems. Upstairs on a separate wing, there's a game/den room overlooking the Family Room and Living Rooms with a stunning balcony. Luxurious Laundry Room with spacious cabinets and laundry shoot built in attached to 2nd story. This Estate is located in the world famous Spruce Creek Fly-In which includes a private 4,000 ft lighted runway and a GPS approach, A championship golf course, Country Club and 24-hr patrolled security. Available furnished as well and iINCLUDES PLANE LIFT.